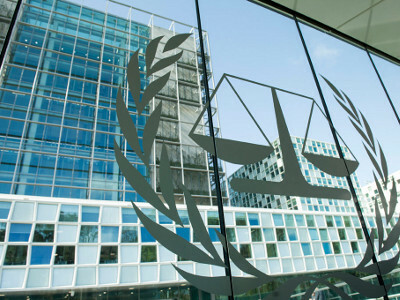 A war crimes suspect wanted for alleged murder, deportation and torture of Muslims in the Central African Republic (CAR) has been handed to the International Criminal Court in the Hague, the tribunal said. CAR officials transferred Alfred Yekatom to officials from the global court, which is looking at more than six years of violence that destabilised a fragile region at the heart of the continent. Yekatom, a sitting MP once nicknamed “Rambo”, was flown out of the country and arrived in the court’s detention centre in The Hague early on Sunday, officials said. There was no immediate comment from Yekatom or lawyers representing him. A U. commission of inquiry found Christian militias under Yekatom carried out war crimes and crimes against humanity by targeting Muslims. The ICC – set up to prosecute the worst crimes when member countries cannot or will not do so – issued a sealed arrest warrant for Yekatom on November 11. Bensouda is carrying out two investigations into conflicts in the Central African Republic. Yekatom’s arrest is the first in the more recent conflict. A pre-trial chamber found reason to suspect Yekatom of commanding around 3,000 members of an armed group operating inside the Anti-Balaka movement, which was carrying out systematic attacks against the Muslim population. Among charges in the warrant are murder, cruel treatment, deportation, imprisonment, torture, persecution, enforced disappearance and the recruitment of child soldiers younger than 15. The former French colony, one of Africa’s poorest countries despite reserves of gold and diamonds, was plunged into chaos when mostly Muslim Seleka rebels attacked towns and grabbed territory before seizing power in March 2013. Seleka rule prompted a backlash from Christian militia known as anti-balaka. Under international pressure Seleka handed power to a transitional government but the move effectively partitioned the country and bloody clashes continue. No date has been set yet for Yekatom’s initial appearance.